Happy New Year 2017 ! Bring on the Fundraising and Awareness ! HAPPY HAPPY NEW YEAR TO ALL OF OUR AMAZING SUPPORTERS AND AWESOME ROHHAD FAMILIES. Apologies we have been a little quiet on the website these past few weeks, we were experiencing some server difficulties which look to be fully resolved now !! What a fabulous year 2016 was for raising awareness and much needed funds to find a cure. We had such a fun time at all of our events, from the spring ball to our family Halloween night. 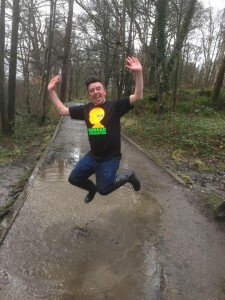 Aaron has done a fabulous job of raising awareness with his social media video and some of the other kids have been doing the same, with families speaking to the press around the world and the kids doing what they can to raise funds and awareness. THANK YOU to every single person who helped last year, we are deeply grateful for all of the support. We still have such a long way to go but all of us at the charity are excited for 2017, we are hoping that this will be the year that we raise enough funds for research in the UK to begin ! as well as National and Global awareness ! Also hoping to do some more blogging about the children this affects so that our supporters can gain some insight into ROHHAD and who they are helping. We have so many exciting things planned and will be posting details of those soon and in the coming months so please keep following our website posts and social media pages @ROHHAD_GLOBAL on twitter and ROHHAD Association on Facebook. In the meantime Aaron still has ongoing his social media campaign #GOMADJUMPFORROHHAD !! Our charity Ambassador Emily Middlemas recently completed her challenge and we cant wait to see more people getting involved including the X Factor Finalists. If you have not done the challenge yet please see our homepage for how too ! and please Get Your Wellies On !! we are also hoping to have some bag packing, christmas street collections and possibly a christmas fayre.